Growing mushrooms can provide a specialty product for small farmers and enthusiasts alike, either for alternative income or simple enjoyment. Ecosystem services are benefits that society gets from functioning ecosystems. Water, fisheries and wildlife habitat are some examples of ecosystem services. 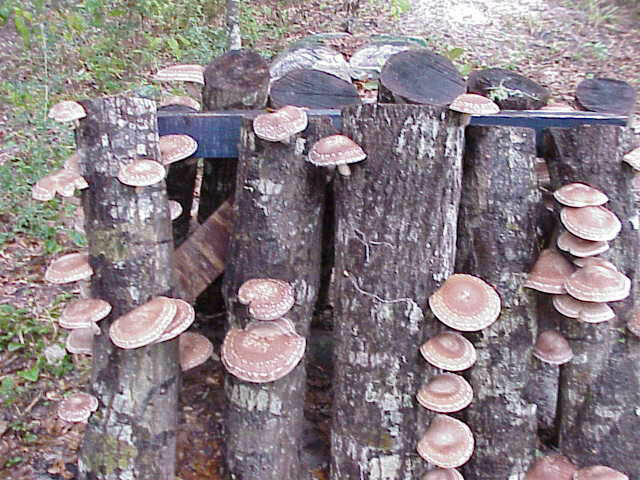 UF-IFAS SFYL - Farming Shiitake Mushrooms: step-by-step process of producing shiitake mushrooms, links to other resources. North American Mycological Association: to promote, pursue and advance the science of mycology. See "Cultivation" page for producer information. UF-IFAS SFYL - Community Supported Agriculture(CSA): A CSA is a community of individuals who pledge support to a farm operation in exchange for a share in crop harvests. The growers and consumers provide mutual support and share the risks and benefits of food production. 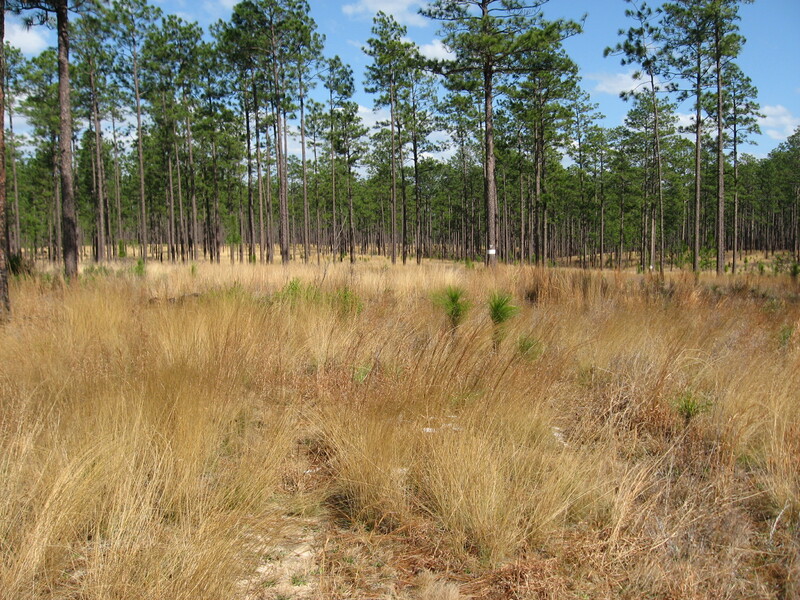 Florida Fish and Widllife Commission's Gopher Tortoise Recipient Site: Recipient sites are privately or publicly owned lands onto which tortoises that are displaced by development will be relocated under a new permitting system created under the management plan. Landowners that have their properties certified as recipient sites may receive financial compensation from the donor site owner (such as a developer). This financial compensation can offset upfront costs associated with becoming a certified recipient site. Florida Department of Environmental Protection Wetland Mitigation: A wetland enhancement, restoration, creation and/or preservation project that serves to offset unavoidable wetland impacts is known as wetland mitigation or compensatory mitigation. The ecological benefits of a mitigation project should compensate for the functional loss resulting from the permitted wetland impact. Compensatory mitigation activities may include, but are not limited to, onsite mitigation, offsite mitigation, offsite regional mitigation, and the purchase of mitigation credits from permitted mitigation banks. LandScope Florida: Dedicated to conserving Florida’s diversity of species and ecosystems. Florida Fish and Wildlife Conservation Commission's Cooperative Conservaton Blueprint: The Cooperative Conservation Blueprint's goal is to ensure that we have clean quantities of fresh drinking water, clean air, recreational areas, rural and working landscapes, natural lands and native wildlife as Florida accommodates a growing population well into the future. Forest Stewardship Ecosystem Services Survey Project: Quantified the economic values of four key ecosystem services provided by 437,800 acres of Florida’s working forests enrolled in the Forest Stewardship Program (FSP): water quality, carbon storage, timber production, and wildlife conservation. The study found that, on average, a typical acre of forest enrolled in the FSP provides ecosystem services with a present value of $5,030 for a mix of private and public uses. See link above to access the full report and other reports by the Conserved Forest Ecosystem Outreach and Research Program. North American Mycological Association: to promote, pursue and advance the science of mycology. See cultivation page for producer information. Florida Farm Bureau: the Sunshine State's largest general agricultural organization with more than 140,000 member-families representing Farm Bureaus in 60 counties.